U.S. prosecutors in New York, the first to identify and charge Osama bin Laden three years before the Sept. 11, 2001, terrorist attacks, were granted their request to dismiss the case against him, more than a month after he was killed by U.S. forces in Pakistan. U.S. District Judge Lewis A. Kaplan in New York today ordered that the entire case be voided against bin Laden, a Saudi who was killed May 1 at his Abbottabad, Pakistan, compound by a team of U.S. Navy SEALs during a 40-minute raid. Bin Laden was first charged secretly by the U.S. Attorney’s office in Manhattan in June 1998 for allegedly organizing a global conspiracy to attack U.S. facilities and citizens. After the U.S. embassies in Tanzania and Kenya were hit by near-simultaneous bombings on Aug. 7, 1998, the U.S. filed an updated indictment against him in November 1998, charging him with directing those attacks and with the murders of 224 people, including 12 U.S. citizens. 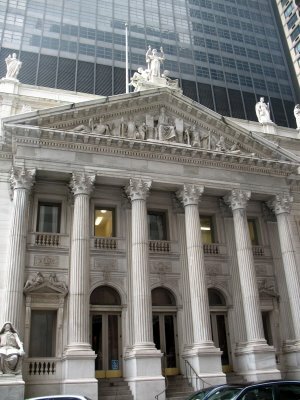 However, one year ago, on June 19, 2010, according to Jurist.org, a judge for the US District Court for the Southern District of New York (SDNY) dismissed 49 terrorism lawsuits, including five cases against relatives of al Qaeda leader Osama bin Laden, citing lack of evidence. Judge George Daniels dismissed claims against four half-brothers and a nephew of bin Laden, holding that the prosecution lacked evidence to support the relatives’ involvement in al Qaeda operations surrounding the 9/11 attacks. The claims were brought seven years ago by the families of victims who died in the attack on the World Trade Center in 2001. What happens when a defendant in a lawsuit dies? While it is said that it is standard procedure to dismiss the case of the deceased, Osama Bin Laden, I can’t help but wonder what options will be available to the 911 victims who believe that Bin Laden was responsible”, or for that matter, what options are available for the ones who believe the US Government is responsible?